Cincinnati’s own Triple Digit Brewing Company is releasing a new beer. 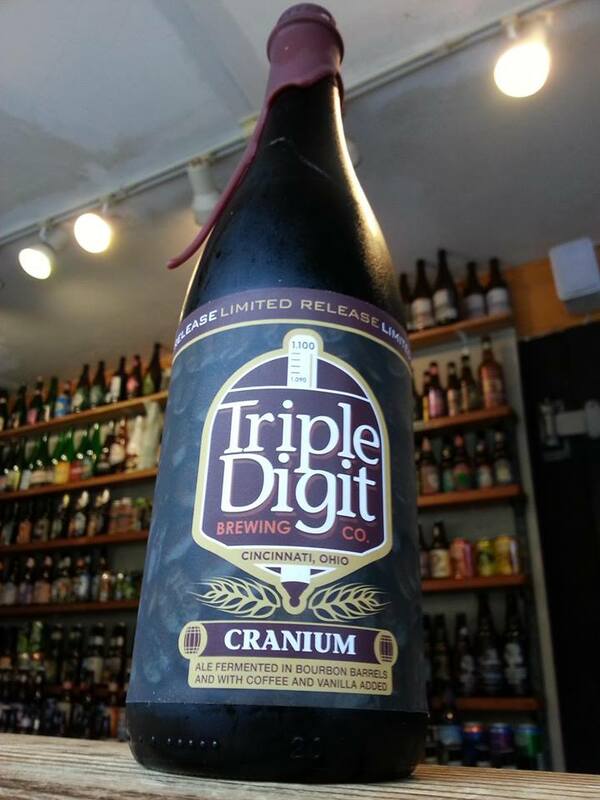 Known for their triple digit original gravity beers all clocking in upwards of 10% they are adding to that lineup with Cranium. A bourbon barrel aged imperial oatmeal stout with coffee and vanilla. Suffice to say this beer has a lot going on and a lot going for it! I stopped by Dutch’s Bar, Bottle Shop, and Larder tonight for the draft release party. If you weren’t able to make it then hit up Listermann’s Brewery this Friday (11/8) for the bottle release. Gave it a pour straight down the middle and was rewarded with a completely opaque fully black beer. Due to the more aggressive pour I got a LOT of head, had to wait for it to settle before I could pour the whole bottle. Very sweet chocolaty malty aroma with no hop presence at all. 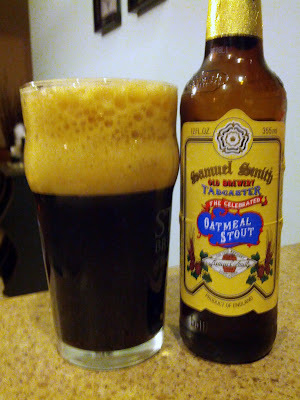 I also pick up some oatmeal aroma, or at least an aroma that reminds me of breakfast. Super chocolate flavor with some grainy oat action as well. Slight bitterness from the hops but this is an extremely malty beer. Good flavor but not amazing. The body and mouth feel is where this beer shines the brightest. Soooooo smooth and creamy it reminds me of drinking chocolate milk. Overall I’m not impressed and this doesn’t live up to the hype I’ve heard about it, like the 99 rating on ratebeer.com. I got this at the Village Wine Cellar over in Lebanon but you should be able to come across this beer just about anywhere better beer is sold. Very different pour from before. The color is blacker than I could’ve imagined and there was only the faintest layer of dark tan head before fading away. Strong aroma of malt and grain with plenty of alcohol standing out. Taste is similar to the smell, lots of alcohol though. That combines with malt bitterness to dominate the flavor. My taste buds may have been skewed slightly by the Oatmeal Stout but I’m not super impressed by this beer either. Sure it’s a great beer and I digg how strong it is but I don’t feel like there is too much more there than that and malts. 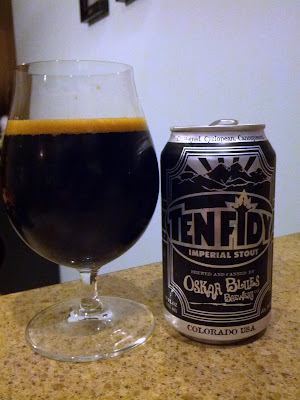 Sticking with G’Knight as my favorite Oskar Blues brew.